The Company is a global semiconductor company with facilities around the world. It provides processing solutions for the computing, graphics and consumer electronics markets. The Fool has written over 1300 articles on Advanced Micro Devices. Demand has fallen off a cliff, but things should improve later this year. The semiconductor designer delivered mixed fourth-quarter results and a weak next-quarter guidance report, but management liked their chances to achieve single-digit growth in 2019. 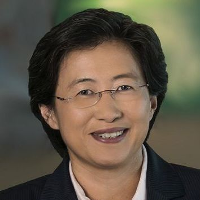 Calling a truce in the U.S.-China trade war could mean good things for AMD. AMD earnings call for the period ending December 30, 2018. Industry, sector and description for Advanced Micro Devices.